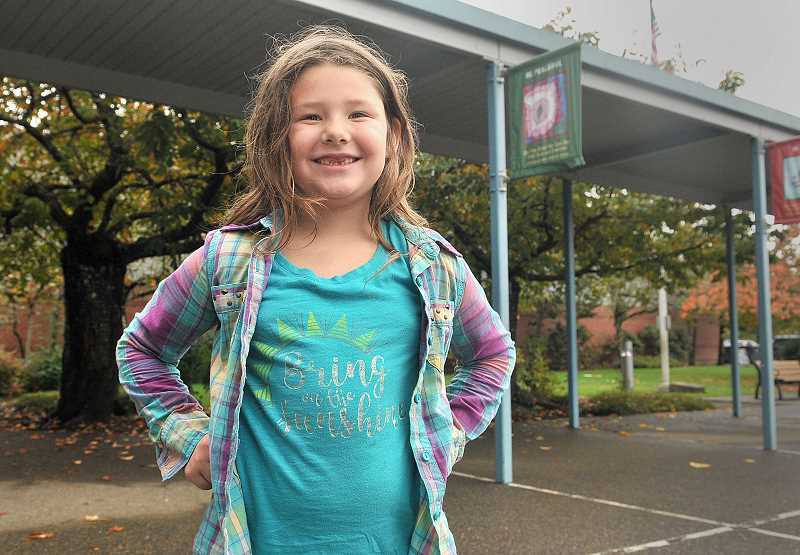 During a poetry assignment in the classroom of Jennifer Arndt, Boeckman Creek Primary second-grader Aurelia Carr cleverly crafted her love of Wilsonville into a free-verse poem. This month, second graders were invited to write poems about topics evoking strong emotions. Though Aurelia was born in Washington, she chose to write about her new hometown: Wilsonville. "Our class has been learning about how poets write about topics that they have strong feelings for," Arndt said. "Aurelia chose the topic of Wilsonville unprompted. She clearly wrote and illustrated it from her heart."